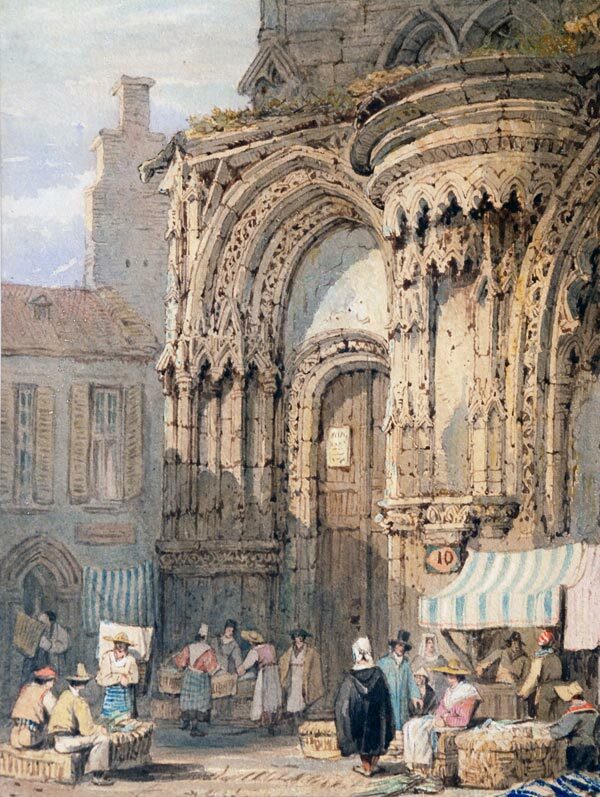 Summary: Watercolourpainting by Samuel Prout showing a gateway into a church in Orleans. Market traders stand outside by their stalls. Description: In the early years of the 19th century the antiquarian John Britton commissioned Samuel Prout to produce drawings for his 'Beauties of England & Wales' in Cambridge, Essex and Wiltshire. 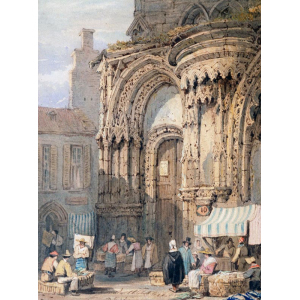 From the 1820's onwards he travelled abroad frequently, visiting France, Belgium Germany and Italy and his picturesque views of old towns were very popular.